I’ve already written several articles about my predictions for the iPad 3G release date, so I might as well keep the predictions flowing. The reservation for the Yerba Center is said to be June 22, 2010 – so that is why I believe the official release date for the Verizon iPhone will be that day. 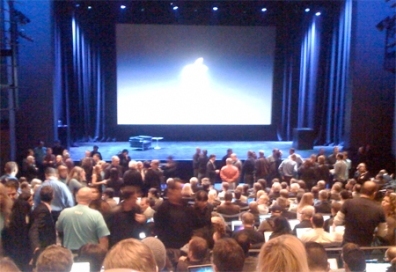 I also believe that simultaneously, Apple will announce the iPhone 4G along with the partnership with Verizon. Apple has *NEVER* (and will never) "release" the phone on the "announcement" date. It's always "some time afterwards". A Verizon phone? I highly dout that. Seriously, dude, get someone to look over your texts before posting. The expression is “might as well”. English is not my first language and I know that! That sounds like you are offering to take on the job of proof reading my content! Nothing to doubt, Apple & Verizon have reached an agreement. So yea, it will happen. The phone wont actually come out till late in the year though. you write 20-30 a day? are they all this bad? when there is no verizon iphone will you stfu? Hey Shen – you are a D-bag! The other 20 articles are horoscopes! Was there a CDMA radio in the 'found' 4G iPhone? Have to say regardless of who has the iPhone now or 6 months down the road I’ve been a user for 3 years and have never been disappointed. I like the constant upgrades and better advancements to service areas. Steve Jobs has done well developing such an amazing piece of technology. I don’t like the Droid, I don’t like Verizon and I don’t like how everyone picks apart every text posted on these sites. You like what you like and go on your way!! To get your point across you don’t have to resort to name calling and childish BS!